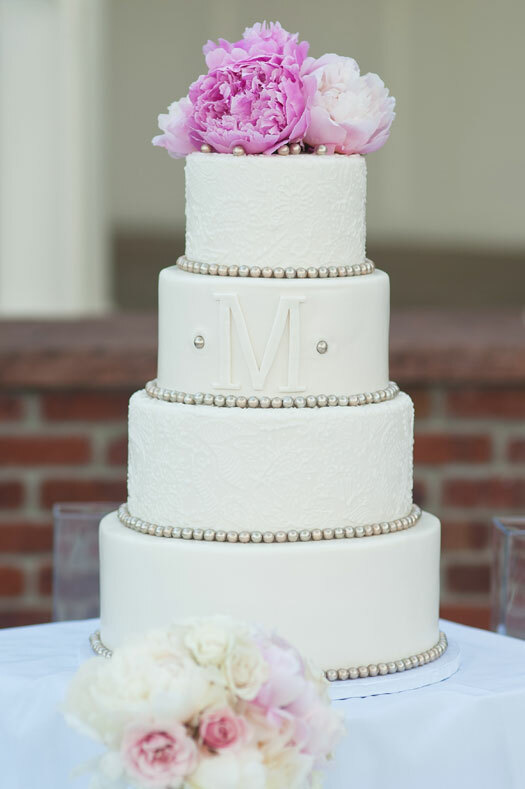 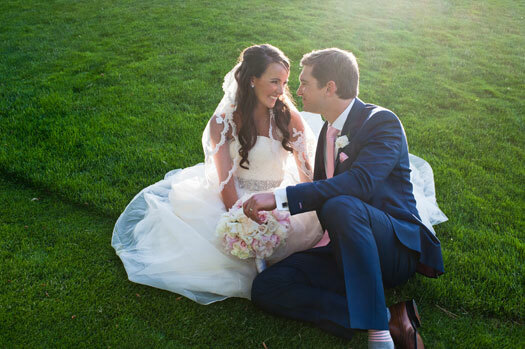 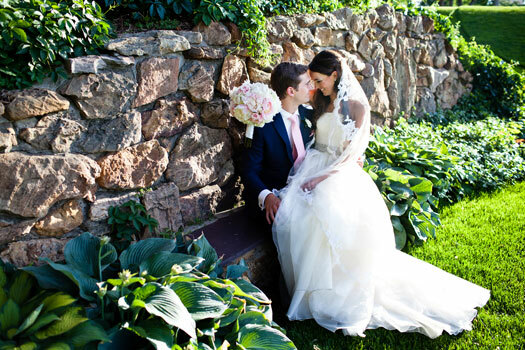 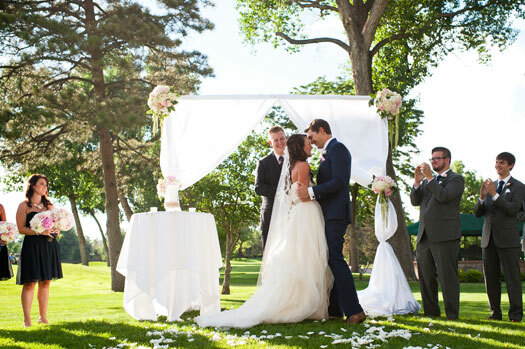 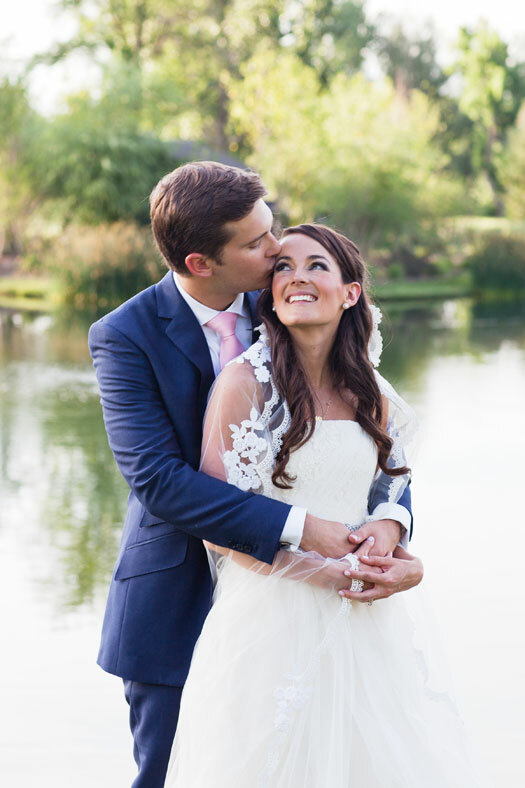 From the bride: We both love spending time outside in the summer and with Colorado’s gorgeous summers nights we knew we wanted an outdoor summer wedding. 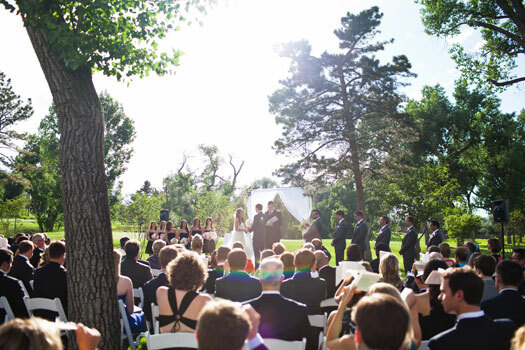 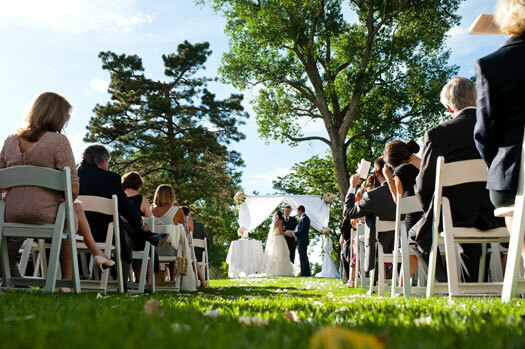 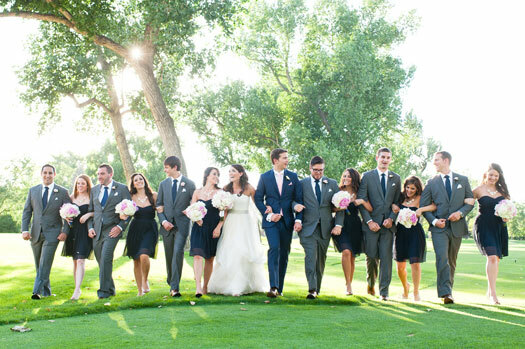 The ceremony was held on the golf course under a grouping of tall trees. 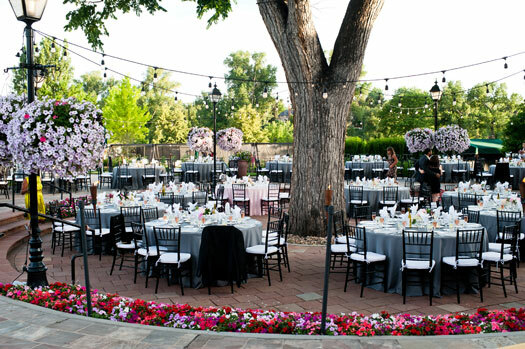 We held the reception under a large one hundred year old elm tree. 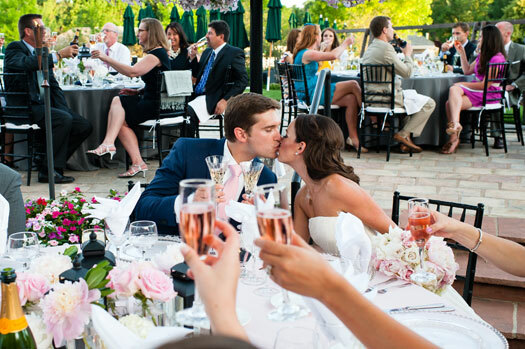 Speeches took place during a seated family style dinner followed by lots and lots of dancing. 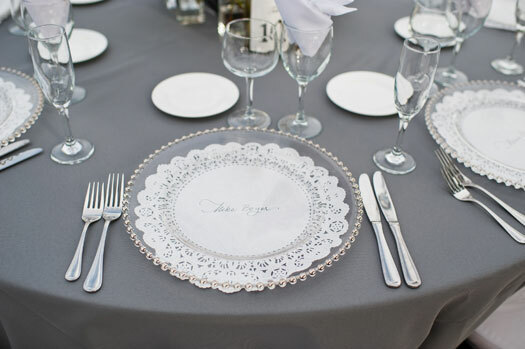 Instead of place cards, each guests name was handwritten in calligraphy onto a white doily that was under a clear glass charger. 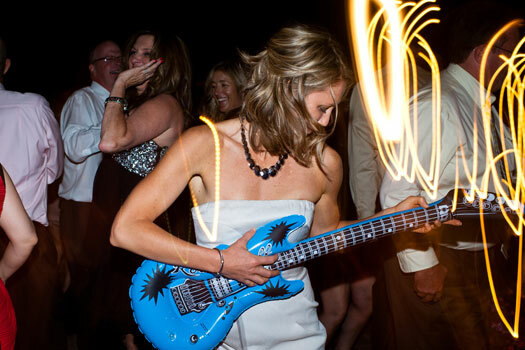 The most memorable moment was when my uncle broke out the blow-up air guitars while everyone was dancing! 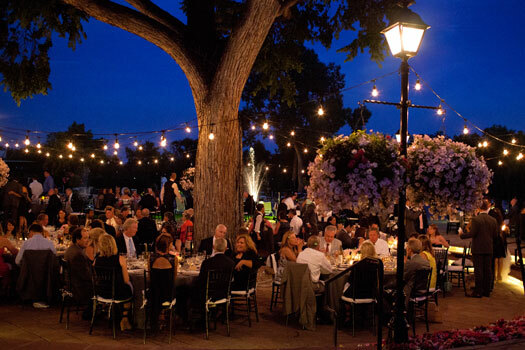 My advice: Have fun and enjoy the planning process, figure out what is really important to you and don’t give in on it.